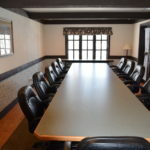 Spring House Inn is the perfect, peaceful place to host your next meeting or retreat. Our professional staff will coordinate your audio visual and refreshment break needs. 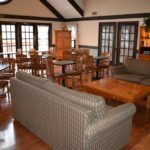 Complimentary Morning Breakfast is served daily in our Library with an array of Hot & Cold items, Freshly brewed gourmet coffees, hot tea, juice, muffins, Hot & Cold Cereals, and biscuts and gravy. Picturesque Siting Rooms ideal for relaxing or with friends. Located on 1st Level ONLY (downstairs)- Whirlpool Rooms, Indoor Pool and Fitness Room.